Architects Macclesfield fees & duties explained by architect. Please call me on 07771 730331 or click on “Contact” from the drop down menu above for an initial appraisal. Initially we have an introductory chat by phone or email. There is no charge for it. This may lead to a meeting in your home or office or on site. Sometimes there is a charge for that if it provides you with value. We agree any charge in advance by email. So you always know where you stand. Our meeting ranges from a concise conversation to a detailed “workshop”, as appropriate. Precise format and duration is closely tailored to your needs. This minimises any charge. I listen to your needs. I appraise your ideas and I may well suggest alternatives. Then all project factors are identified and explained. We assess all other project costs. In the workshop we also assess anticipated construction costs. We consider the amount of time I will need for further duties. Along with the right level of professional expertise. And finally the right types and amounts of design information. From this I indicate my fees. So I aim to leave you with a clear idea of all your expenditure. Clients find these initial meetings establish the way forward comprehensively. Afterwards you are under no obligation. Sometimes clients find the initial conversation or workshop is all they need. But often I carry out further duties. Before committing to my appointment for these you will receive a detailed written proposal. This records our initial discussion. Then it confirms all points:- Your brief and H & S obligations. How we will work together. Approvals you will need. My duties, deliverables and fees. Finally usual terms and conditions. Fee payments are arranged in stages to suit your cash flow needs. I aim to provide you with fixed amounts rather than percentages of construction cost. Example of Workshop 3D Image : Swimming pool and bedroom wing added to Cheshire farm house in Marton. Clients who value creativity, reliability and close personal attention choose me. They recommend me to others. I charge a little more than some architects in Macclesfield, and certainly more than “non-architect plans drawers”. This is because I provide high design quality. Also, I am told, reassuring client care. So I tend to experience demand. But I can usually offer you affordability relative to value. This is achieved by applying competitive but adequate rates to the minimum amount of time needed. This in turn leads to a closely tailored fee suited to your pocket. Design quality means much more than what you see, touch and hear. For me it also means cost control to give you best value for your money. 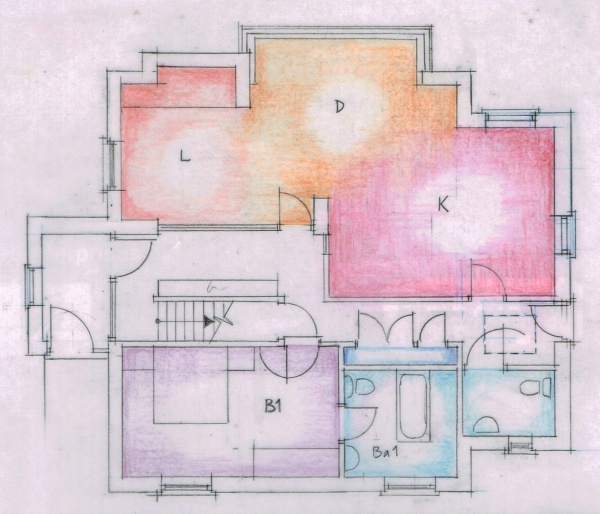 My design decisions about how the new architecture is constructed are made for easy buildability. This saves time on site therefore saves cost. My selection of materials and components to realise the concept is guided by availability and compatibility. This eases procurement so reducing your spend for the same design. 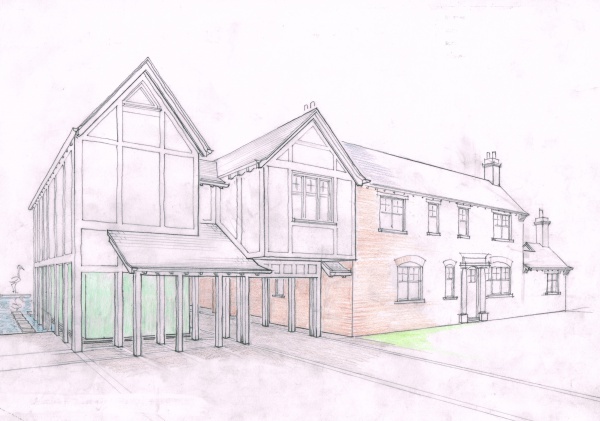 Example of Workshop plans : New house beside existing for elderly parents, Prestbury. My fees are not subject to VAT because I am not VAT registered.